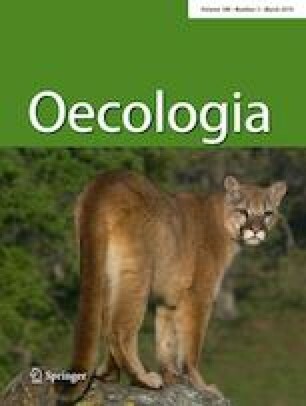 Alarm calls or predator calls: which elicit stronger responses in ungulate communities living with and without lions? Alarm calls and predator vocalizations convey information on predator presence and potential risk. Generally, prey employ anti-predator behaviours more in response to alarm calls. However, occasionally prey respond more to the vocalizations of specific predators. A key question is do prey still respond to alarm calls and predator vocalizations when a dangerous predator is absent? Additionally, would the prey species’ response (e.g. vigilance) differ from prey already living with these predators? Using auditory playbacks, we tested whether four herbivore species living with lions responded more to alarm calls than lion vocalizations compared to a black cuckoo control call. Overall, red hartebeest, wildebeest and zebra had greater vigilance in response to the lion roars compared to the alarm calls. The differences in vigilance suggest that, despite the lion roars not being related to hunting, these herbivores perceived the predator vocalizations as a more immediate indicator of risk than the alarm calls. We then tested whether herbivores living with lions increased their vigilance more in response to the calls than conspecifics in a lion-free section. Despite greater overall vigilance in the lion section, gemsbok and zebra in the lion-free section significantly increased their vigilance in response to the lion roars. This indicates that species under the greatest threat from a predator (e.g. preferred prey) may maintain innate anti-predator responses to an absent but dangerous predator longer than less preferred prey. Ultimately, our results indicate that cues from dangerous predators can have greater effects on anti-predator behaviours than alarm calls for some prey species. The work was supported through a research grant from the College of Agriculture, Engineering, and Science at UKZN awarded to DF Makin, an NRF Research Grant (77582) through AM Shrader, and funding through the Tswalu Foundation. We would like to thank the Oppenheimer family and the Tswalu Foundation for allowing us to conduct this research in Tswalu. DFM was also supported during this research through a personal grant awarded by GreenMatter. Three anonymous referees and Dave Wilson provided constructive comments on the manuscript. The University of KwaZulu-Natal approved all aspects of the research design (Ethics code: 058/14/Animal). DFM, AMS and SCJ designed the study and experimental design. DFM conducted the field work. DFM and SCJ performed the statistical analyses. DFM, AMS and SCJ wrote the manuscript.